The Idemitsu Museum of Arts announces the change in the directorship of the Museum. 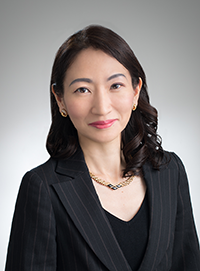 Shosuke Idemitsu left the position as Director of the Museum as of the end of March, 2019, and Sachiko Idemitsu has taken the new directorship of the Museum from April 1, 2019. The Museum was established by my grandfather, Sazo Idemitsu (1885-1981, also known as the founder of the Idemitsu Kosan, Co. Ltd.）in 1966, with the hope that his own collection would be of help for the future generations of people . Sazo loved paintings of Sengai and Karatsu ceramics. Through his pursuit of art, he confirmed his philosophy of “Respect for Human Beings” and had made art a commandment in his business. In 1986, Shosuke Idemitsu, who was appointed as the second director of the Museum, inherited the philosophy of Sazo, which was to show the Japanese way through art. The Museum was enriched with the acquisition of National Treasure scrolls of “Illustrated Stories of Courtier Ban Dainagon”, and reinforced with engagement in domestic and international activities including overseas exhibitions. I have succeeded Shosuke, my father, and become the third director of the Museum. Going back to the founding philosophy of the first director, I would like to contribute more than ever to holding excellent exhibitions of art works and development of academic researches. Although more than half a century has passed since its opening and many buildings in the vicinity have undergone refurbishment and become new tourist attractions, the Museum still is as a place loved by all as an oasis in Marunouchi. I hope the Museum to remain so and wish to continue providing the visitors the encounter with art which shakes their minds. I am committed to provide friendly and exciting exhibitions through which the visitors can discover the charm of Japanese and Asian arts on every visit to the Museum.